We have recently started a new project to be added to ADADSU: Equine Assisted Psychotherapy and Leadership Coaching. We are so excited about its potential having just witnessed most transformative changes among therapists and other mental health professionals on recent training days. This innovative and efficient way of working will soon be part of our services on offer, so stay tuned! Though other animals have been utilised to facilitate psychotherapeutic work, horses are unique as they are herd and prey animals. As such they are very attuned to their surroundings and are able to pick up the subtlest energies in the herd and in the environment, crucial to their survival out in the wild. 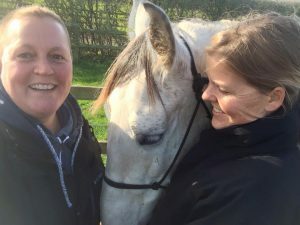 There are various ways of working with clients that involve the horse or horses in the therapeutic process. This can be by way of specific exercises that help streamline, as well as provide structure to the creative unfolding and the emergent nature of the experiential process. For me, the overall experience was extremely powerful and emotive. Though it was not surprising which areas showed up for me, it was the emotional charge and strength that surprised me. This was particularly enlightening as I thought that some of these areas had already been dealt with in my own regular therapy. As psychotherapists we are encouraged to be in therapy not only as part of our training but also to ensure we continue to remain effective therapists for our clients. It made me aware of some of my own potential blind spots, the strength of existing resistances and how to utilise subtle embodied wisdom more intuitively. I saw many images and symbols in my mind’s eye that evoked strong feelings and this seemed to coincide with the horses’ behaviour in a very metaphorical way. What we found most extraordinary was not just our own personal and emotional responses to the work with the horses, but also those of the witnessing group. Even though we were a group of seven strangers, we were all very touched and resonated deeply with each other’s experiences with the horses. Where to Find Good Training? There are currently limited training providers in the UK and we have managed to review a few. It is difficult for mental health professionals to choose the right training, since this type of work is still relatively new and not yet regulated. We feel that LEAP in the UK provides a very professional, safe and contained environment, while also having the mental and physical wellbeing of their private herd at the heart of the therapeutic work.7 They are endorsed by and are an organisational member of The British Association for Counselling & Psychotherapy (BACP) and adhere to the BACP Code of Ethics. We are excited to start the full certification course later this year bringing this additional innovative service to ADADSU. Since the emotional and physical health and welfare of our horses is paramount to us, we are currently in the process of finding land that allows for the most natural environment and living conditions for the herd. We are looking to collaborate with experts in the field to make this a sustainable as well as a best practice centre utilising and contributing to latest research in the field. We will keep you updated of our progress – so do stay tuned or contact us for more information. Sudekum Trotter, K. (2012). 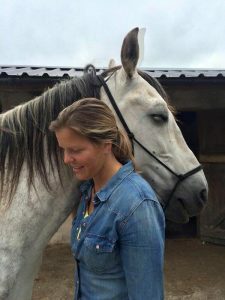 Harnessing the Power of Equine Assisted Counseling: Adding Animal Assisted Therapy to Your Practice. USA: Routledge. Kohanov, L. (2013) The Power of the Herd: A Nonpredatory Approach to Social Intelligence, Leadership, and Innovation. California: New World Library. Wake, L (2008) Neurolinguistic Psychotherapy: A Postmodern Perspective (Advancing Theory in Therapy). London: Routledge. Liebermeister, S.R. (2006) The Roots of Love. Cambridge: Perfect Publishers Ltd.
Shambo, L. (2013) The Listening Heart: The Limbic Path Beyond Office Therapy. USA: Human-Equine Alliances for Learning Heal. Banning, N. (2012) When the Therapist is a Horse. Therapy Today. March 2012, Vol. 23(2): 14-18. This entry was posted in Lara Post on 27th April 2016 by melanie.